Born: 1898, Lincoln, United Kingdom. Died: 6 March 1968, Port Edward, South Africa. Anthony S. ("Archie" or "Tony") Canham came to South Africa at an early age. He attended the South African College School in Cape Town (in 1916 only, according to Ritchie, 1918), matriculating through the University of the Cape of Good Hope (in 1915, according to its Calendar). Subsequently he obtained his MRCVS at the Royal Veterinary College, London, in 1920. On his return to South Africa he lectured in Veterinary Science at the Potchefstroom College of Agriculture and became a member of the South African Veterinary Medical Association in 1923. His research at Potchefstroom led the Royal College of Veterinary Surgeons to award him the FRCVS in 1926 for his thesis The Blood of Cattle. In 1927 Canham assumed duty as Government Veterinary Officer in Bloemfontein and lectured at Glen Agricultural College before being appointed as head of the Allerton Laboratory in Pietermaritzburg in 1931. 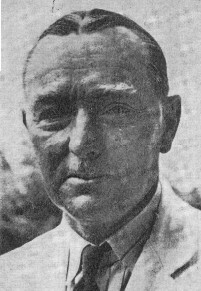 In 1934 he succeeded J. Spreull* as Senior Veterinary Officer, Cape Western Division, until he relinquished his post in 1937 in order to return to research work at Onderstepoort. In 1939 he returned to Allerton where he served as its director until his retirement in 1958. In 1942 he obtained the degree DVSc from the University of Pretoria for a thesis on The Tuberculin Test in Guinea Pigs and Cattle: the allergic response of animals to extracts of non-pathogenic acid-fast bacteria. Canham was married to Gladys Anne, born Feakin. Journal of the South African Veterinary Medical Association, 1929, Vol. 1(3), Register of veterinarians of the Union of South Africa and South West Africa. [Obituary]: Anthony South Canham. Journal of the South African Veterinary Medical Association, 1968, Vol. 39, pp. 106-107. National Automated Archival Information Retrieval System (NAAIRS). http://www.national.archives.gov.za/naairs.htm Documents relating to Anthony South Canham.